Born in the United States of Nigerian and Mauritian parentage, Zuriel Oduwole describes herself as a Pan African child. Her goal is to use her programme, Dream Up, Speak, Up, Stand Up, to inspire girls to accomplish their dreams as she has been able to do, and to ensure that every girl gets an education. Moreover, she wants to use the visibility that she has attained in order to present positive images of Africa, those that tell real African stories. Before departing the historic city of Addis Ababa where her current film Follow The Ball screened in two locations, she held her now popular basic 'Film Making 101 class' for several teenage girls in the remote community of Akaki. "They too have dreams you know" she says. Truly ONE girl, can indeed make a DIFFERENCE. Amina and her family have fled the city to escape her estranged lover Josh, and the stamp of shame from their patriarchal community; but Josh tracks them down. Cameroon-born Dorothy A. Atabong based in Canada, is an award-winning actress, writer and producer best known for Sound of Tears for which she won various awards including an Africa Movie Academy Award in 2015. Source Wikipedia. 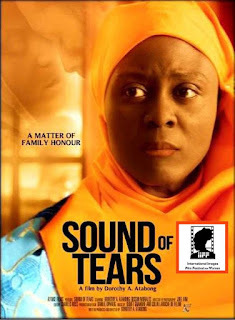 A very successful and independent young woman returns to her village to see her ill father only to find him dead and buried. What follows is her encounter with the hyena that is terrorising the village and it happens to be a human being. 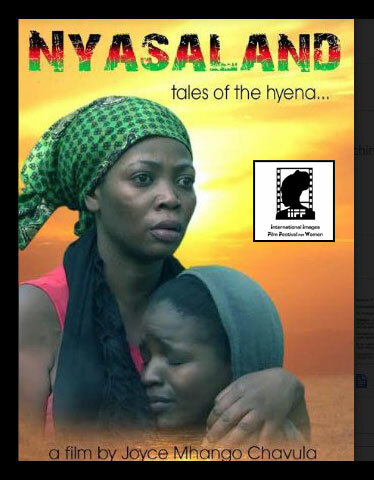 With the help of a young man she takes the hyena head on and saves her village. From a past marred by drunkenness and violence, the village menace, Mukanya, embarks on a journey to redeem himself by saving his son, who has become a reflection of Mukanya’s failures as a father. This is the journey of two men transforming into fathers. This film inspires conversations around the state of Zimbabwean as well as African fathers in the face of patriarchy and changing perspectives of what fatherhood is all about. A Conversations with our Fathers Project. Siza Mukwedini has over 10 years' experience in documentary film production. Her main focus is development, with a focus on sharing inspirational stories that encourage development and social cohesion in Zimbabwe. She has worked with the Zimbabwe Farmers’ Union highlighting success stories in agriculture. The program has also encouraged a lot of young people to turn to agriculture as a source of employment. Siza is an amazing storyteller and uses new media like film and photography. She mostly films and edits her own documentaries. Selected in 2015 to participate in the Mandela Washington Fellowship for Young African Leaders in the United States, upon completion of the Fellowshipher objective is to inspire Zimbabwe and Africa to realize the vast potential they have through creating her inspirational films. She believes the first step to effectively fostering social and economic development is inspiring the mind and aims to partner with some of Africa’s greatest minds she will have the chance of meeting through the Fellowship to achieve her vision. A woman is to be enthroned as chief in Nkol Ngock I, a small village in Cameroon. This is a rare occurrence in most African societies where the position of chief is customarily handed down from father to son. This documentary presents a rare glimpse into a community undergoing change. Social attitudes towards gender equality are changing, as men openly acknowledge and speak about the importance of women in development. One man says "women are doing more to encourage development than men. I believe a female chief will bring new things." 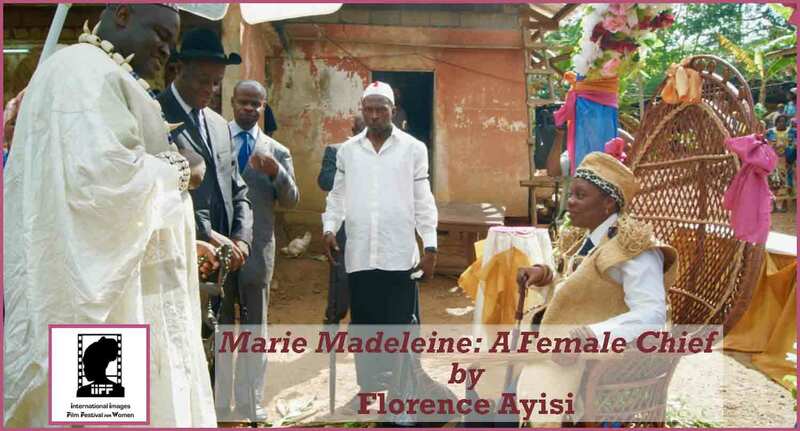 Even though some villagers consider Marie-Madeleine a 'stranger' because she lives in the capital city of Yaoundé, she is determined to learn about her culture and integrate into village life. As Marie-Madeleine beats the real African drum on her enthronement day, the gentle sounds signal a break with tradition. It is the dawn of a new era in the village of Nkol Ngock I; a Woman will be their traditional leader. Residents are optimistic that she will bring much needed development to the village. Florence Ayisi is Professor of International Documentary Film. She teaches film history, theory, creative documentary film practice, transnational cinemas, cultural representations. She is also an award winning documentary filmmaker, presenting rare insights and affirmative aspects of African people and their culture from a Woman-centred and Pan-African perspective. She has made films in Cameroon and Tanzania, including films such as Sisters in Law (co-directed with Kim Longinotto, 2005), Zanzibar Soccer Queens (2007), Zanzibar Soccer Dreams (co-directed with Catalin Brylla, 2016). Her films have won numerous prestigious film awards including PRIX ART ET ESSAI at Cannes film festival; Grierson Award for Best Documentary on a Contemporary Issue; Audience Award at International Documentary Festival Amsterdam (IDFA); and Peabody Award in USA. Florence Ayisi has taught film and media studies at several Higher Education institutions (HEIs) in the U.K. for over 20 years, including University of Sunderland, Coventry University, University of Glamorgan and the University of Wales, Newport. 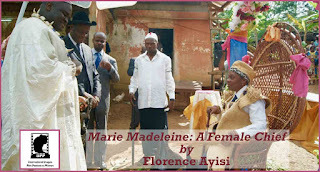 Marie Madeleine: A Female Chief - TRAILER from Florence Ayisi on Vimeo. A male public space, women’s bodies that disturb. Neither men nor women know what to do with this female body, so it gets veiled. This film is the encounter between women in a quest for meaning who question themselves to confront their individual histories. Who are they today faced with a society rife with confusion that “does not know what to do” as they are present in ever greater numbers in this public space? A society permeated by religious convictions on the one hand and by ignorance on the other that makes women a permanent target. Geologist by training, she started in cinema as assistant director. In 2007, she enrolled in courses in editing followed by film directing. She has made three documentary short films, including C'est à Constantine, which was selected in several festivals and received a special mention from the jury at Ciné Sud. She studied veterinary medicine and in 2007 directed her first film Harguineharguine, which won several awards, including the first prize at the festival Ciné Sud. She is studying documentary film production in Canada. Seven-year-old Aya lives with her Salafist parents, Mariem and Youssef. For fear of being banished by his Salafist community, Youssef is obliged to impose the wearing of Niqab on his wife. One day, Aya commits an act that will disrupt forever the fate of her family. 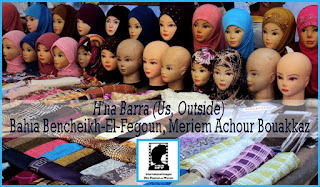 Moufida Fedhila, who was born in Tunisia, lives and works between Paris and Tunis, hence, creating a passage between cultures and territories. She navigates within a limitless space in which she questions, pushes, journeys. She graduated from the European School of Art of Brittany and studied philosophy at the University of Sorbonne and theater at the University of Caen before pursuing film directing in Paris. IIFF is an internationally recognized festival held to inspire positive images of women, interrogate, debate and celebrate the world of women, as well as the communities that women live in through films that exhibit gender sensitive narratives. 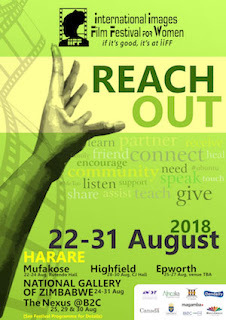 IIFF was founded in 2002 by Women Filmmakers of Zimbabwe in response to the proliferation of beauty contests at that time. Each year, a selection of films is featured to interroglate, debate and celebrate the resilience of women against many odds and nevertheless their contribution to society and history. 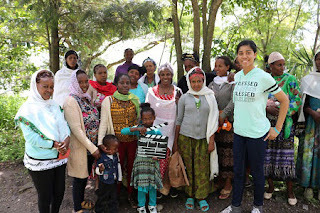 The idea of a woman's film festival came to mind because gender is really one of the components of film that we need to look into very closely to see how films are affecting our world, and affecting our behaviour, especially our behaviour in gendered relationships.--Tsitsi Dangarembga, Festival Founder. A beautiful woman and an uncertain future loom ahead of two girls and a court. A Serenade for Fanny“ is a modern, inventive and entertaining documentary film about personal identity and sense of belonging, the bond between generations and the power of big dreams. Together with the charming Fanny (90), who was resettled from former Yugoslavia at the beginning of the Second World War and her ambitious granddaughter Alex (30) from Germany, we invite the audience on a journey through the life of two powerful ladies of totally different generations. They will learn about female role models, and how they have changed in the last century. They will get a feeling about what it means to loose home, family and to be forced to build up a new existence in a foreign country. And they will be inspired by how strong your personal impact on life can be when you have the strength to carry on. “A Serenade for Fanny“ should encourage everyone to show persistence in hard times, to break free of social conventions and to believe in dreams when they come to you - no matter how old you are! Accra Power provides an eclectic mix of perceptions of power in one of many thriving urban settings Africa’s. It outlines creative and artistic strategies of young Ghanaians situated at the crossroads of tradition and various belief systems, high technological and economic growth, infrastructural deficits and current energy crisis. In Tunis a smart little girl Aya, lives with her Salafist parents. But one day a special event disrupts the life of this family. And then Aya manages to save her family from fanaticism. In both West Africa and North America, four Liberian women have been using their music to address injustice and inspire action for social change. Survivors of Liberia’s civil wars, they are accomplished, brilliant singers – as well as mothers, refugees, immigrants, Africans – who haven’t stopped contributing positively to the world, no matter the obstacles. Because of the War documents the power of traditional songs to make meaningful connections between and among people, and to help re-build communities impacted by violence and migration. A grieving mother seeks to remove a curse brought on by her son's suicide, while her younger sons grapple to understand the meaning of his death. Burkinabè Rising, a new documentary from Cultures of Resistance Films, showcases creative nonviolent resistance in Burkina Faso. A small, landlocked country in West Africa, Burkina Faso is home to a vibrant community of artists and engaged citizens, who provide an example of the type of political change that can be achieved when people come together. It is an inspiration, not only to the rest of Africa but also to the rest of the world. Through music, film, ecology, visual art, and architecture, the people featured in this film are carrying on the revolutionary spirit of Thomas Sankara. After assuming the presidency in 1983, Sankara was killed in a 1987 coup d'état led by his friend and close advisor Blaise Compaoré, who subsequently ruled the country as an autocrat for twenty-seven years. In October 2014, a massive popular insurrection led to his removal. Today, the spirit of resistance is mightier than ever in Burkina Faso. In the fall of 2016, director Iara Lee traveled throughout the country to film Burkinabè Rising. Through this journey, she met a remarkable cast of artists, musicians, and activists who are using the country's artistic traditions to propel forward a message of resistance: Joey le Soldat, a rapper, infuses his lyrics with references to the struggles of the impoverished youth in Ouagadougou, the country's capital, as well as those of the farmers who toil in the country outside. Marto, Burkina Faso's most well-known graffiti artist, turns barren city walls into colorful murals decrying injustice. Malika la Slameuse, a women's rights activist, performs slam poetry that offers a feminist perspective on a male-dominated art form. Serge Aimé Coulibaly uses dance as a form of political resistance, with movement borne from a need to speak out and take action. In addition to profiling individual artists, Burkinabè Rising documents a festival of recycled art and interviews groups of farmers who are standing up to the incroachment of corporate agriculture. Displaying a panorama of creative resistance, the film shows how the resurgent Burkinabè pursuit of peace and justice manifests itself through cultural expression, permeating every aspect of daily life. Surfing is like an ode to a life in freedom. But the freedom experienced between ocean and sky runs into its limits on land. Women on surfboards are considered an insult across many cultures. But there are a few who go surfing anyway: Chicks on Boards. Because Surfing is more than a sport: it’s a movement. From the abyss of despair, a young deaf girl strives to achieve her earnest desire for special education. But first, she has to overcome the eccentricities of her society. E Do is a story of domestic violence following the life of a little girl, living in a chaotic household with duelling parents. The effect of this trauma follows her though scarring here physically and emotionally until she becomes the unintended victim. After a hard day’s shopping, Latifa, a rude and vain woman and her long-suffering maid Rosie get trapped in an elevator. Already haughty and dismissive, Latifa becomes downright nasty in her treatment of Rosie, even going so far as to blame her for the mechanical failure. This brings emotions to a head, and Latifa goes on a journey in her mind, in which she confronts her own egotistical nature and rediscovers the lessons of humility and respect she learned as a child. A mother looks for her son in a hospital bed. She finds her daughter instead. Between shores and tides, blue leaks from the core. On his wedding night, and with his honour at stake, the groom drags her bride to hospital to figure out, through medical diagnosis, the thing that is usually supposed to happen on such a night, BUT DOESN'T. A documentary on survival in Zimbabwe a country stricken by a high unemployment rate of about 95% which is the highest in the world. People live by resisting law enforced by authorities and survive by any means possible just to make ends meet. The film delves deep on how Zimbabweans are managing to survive in hard economic condition that has been prevailing for the past 10 years. The film follows activists and general citizens as they stage protests against hostile government policies in pursuit of a better Zimbabwe. The police are waging war from all sorts of battle fronts, but an up rise has begun mounting pressure on Robert Mugabe’s government. Series of protests are imaging from deferent pressure groups but the government is in no mood to negotiate, but respond with crackdowns. For the Police and the municipality, it’s a fight to maintain order and sanity in this what was once called the Sunshine City, while for the citizens its scuffle for survival in a country that is reeling with High unemployment rate (of over 80 percent) and the economy is seemingly on a free fall. This is a story from South Sudan about a university girl who wants to get married, but her father cant allow her to marry from the tribe she has loved. She tried to convince her father. Will she be granted permission to married from that tribe? This film is based on a true story about Narcissism, the marriage that she suffered through and the journey of how she met her ex- husband. Ruvimbo's wedding is a short film about child marriages. The film was written and directed by Ben Mahaka with music by Hope Masike and poetry by Chirikure Chirikure. Khanyisile is a talented Singer/Dancer/Actor who wants to be a star. She travels from her home in Nongoma to audition for a new musical to be staged at the Joburg Theatre based on the life of Zulu Queen Mkabayi ka Jama, King Shaka’s aunt. Will she be able to keep up with her more seasoned fellow performers, avoid the jealous machinations of the aging leading lady and survive the punishing rehearsal schedule to make it to opening night and shine like the star she is? “She is King” is a joyous celebration of Zulu culture in a glossy contemporary setting, showing off Joburg as the "Broadway of Africa". Think “Smash” meets “Lion King”. This poetic rollercoaster ride chronicles Ugandan youth reclaiming their right to a voice by bringing village bonfire traditions to an urban setting. One of these young freedom of speech activists is Ugly Emcee, a social worker who also happens to be a grandson of the late dictator Idi Amin Dada. Through an unsettling meta-layer, these eclectic individual portraits combine to form a vision of a country trying to shed its past and build a more democratic reality, despite the conservative forces latching on to power. A young woman from a patriarchal community is forced into an arranged marriage to save the family honor. Amina and her family have fled the city to escape her estranged lover Josh and the stamp of shame from their patriarchal community; but Josh tracks them down. After her parents die, Tamala (15) is taken from the village to go work in the city where she struggles with violence and sexual harassment. She then decides to turn to the street for little comfort. The streets aren’t so nice for street children but Tamala fights her best fight in order to return to her grandmother back in the village. The Samaagathi Report on extreme gender discrimination on campuses across Kerala created a furore, as most Vice Chancellors went into denial, calling it false and prejudiced. 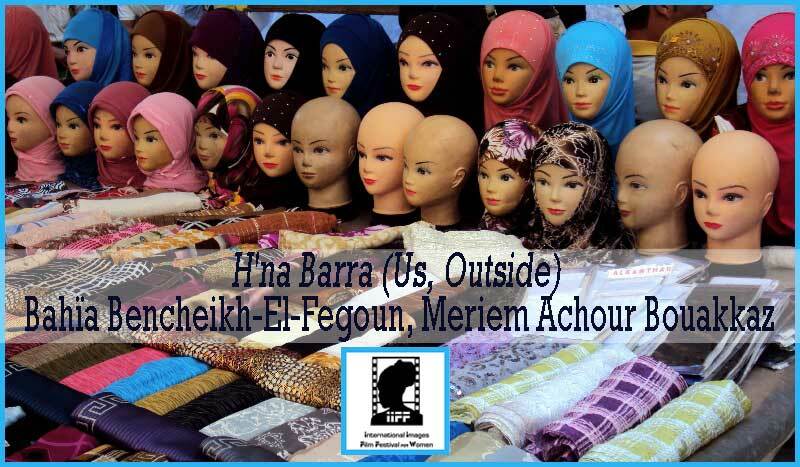 The Film travels through campuses, speaking to women, providing glimpses into their lives, experiences of routine discrimination and the culture of silence around the injustice, while discovering that their spirit cannot be contained! Virvel / Veer is a poetic dance short film about ruling and being ruled. Shah Jahan is fed up of people calling her fat. Mehru Nisha longs to step out of the house. Afroz Jamala is terrified of growing numbness in her hands. Three women from Nizamuddin basti, Delhi, take a decision that sets them on a journey to find themselves – they join a gym. Volar (Flying) gathers nine survivors of gender violence, among whom there is an architect, a university professor, a cleaning lady and a student. They all share a weekend in the countryside, in the heart of the Basque Country. That is where we gather their testimonies, their conversations on their past of violence as well as a message of hope and their experience overcoming what they had gone through.